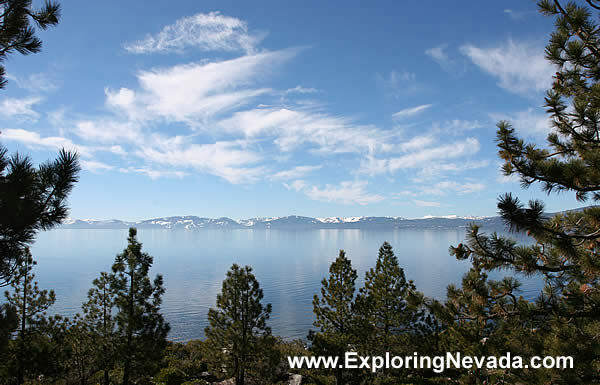 One of the nicer overlooks of Lake Tahoe is found on US Highway 50, near Glenbrook, where US 50 first reaches Lake Tahoe coming from the east. It's easy to drive right by this overlook, since from the road it doesn't look like much. But a short hike of 1 or 2 blocks will reward some fine views.